A Birthday Change of Plan. 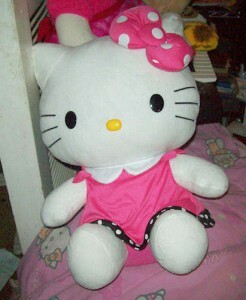 I was originally going to blow 80 dollars on a Ruth’s Chris but as I thought about it I decide I just cannot justify spending $80.00 on a steak dinner; so I comprised, tonight I went to the Sanrio store at Washington Square and bought me a new 17 in hello kitty plush and 35,00 for a steak and lobster dinner at Stafford’s for a little more than the same price. 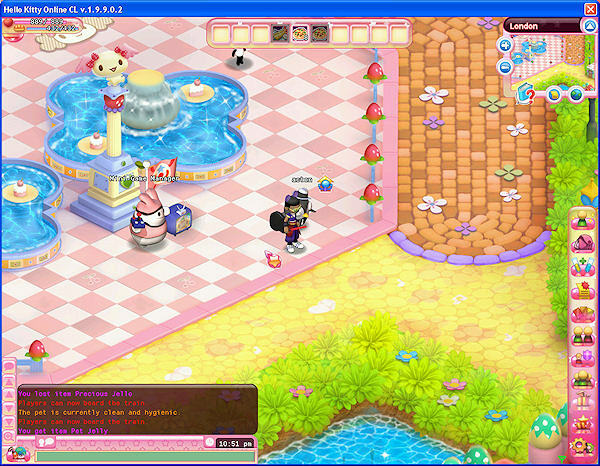 I went on Hello Kitty online on 1st Nov. 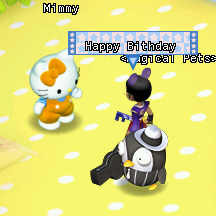 I Unlike Kitty’s birthday event there no decorations in Sanrio Harbor, no birthday quest or piñatas. Then I went to London, the site of last year events; the site was barren. 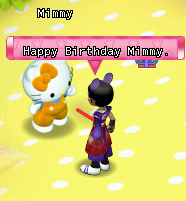 Even without the crowds, the celebration quest, and other players and seemingly the abandonment of the game by Sanrio Digital I took time to say Happy Birthday to Kitty and Mimmy. 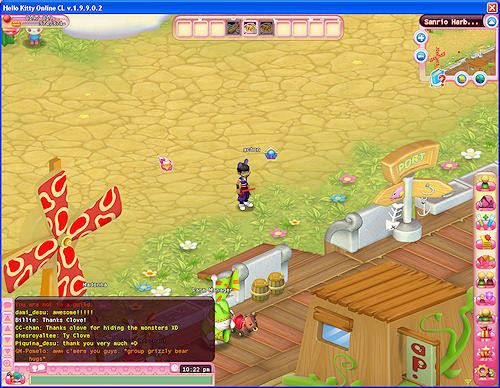 Sadly, I feel this may be the last time on HKO; a clear sign there limited development at Hello Kitty Online. 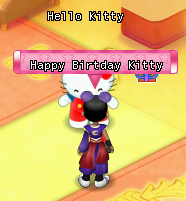 Thanks to the GMs to put on some type of birthday event even through it not what I expected and hope for. .